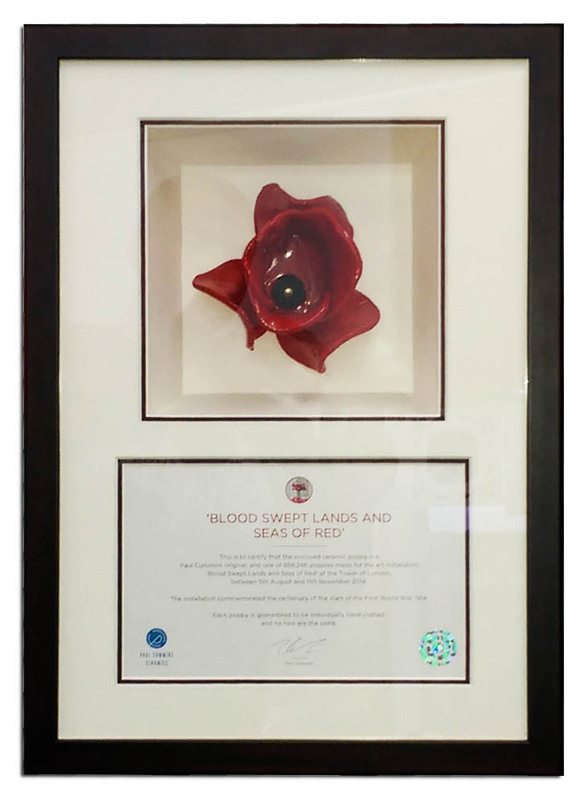 The ceramic poppy is held in place with a small wooden drawer knob which is screwed from the back through the reinforced floor of the inner coved box. That's lovely! Such a really nice job! Super stuff and nice touch with the drawer knob! How have you levelled up the back of the frame what with the cove box at the bottom having such depth? There is an outer coved box that fills the whole of the frame. You can just about see the base of it in the bottom picture. Nice one John lovely presentation. Where do you get the coving from? Hi Catherine, you make the coved box from mountboard. Thanks, I ventured further down the Board and saw how to make one.. It is a shame I don't get to see even a quarter of the jobs that we do.